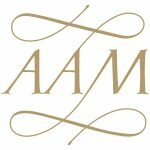 The Academy of Ancient Music exists to explore, reveal and preserve our glorious treasure-house of early music. AvMA is the UK charity for patient safety and justice. We support and empower people harmed by failures in patient safety to get justice, and promote safer healthcare for all. Action for Children’s mission is to act early so children get the care and support they need, and to speak out fearlessly on their behalf. The vision of Action for Elders is a society where all older people have the choice, support and empowerment to live healthy, active, and fulfilling lives. 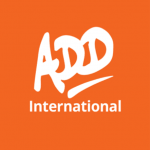 ADD International is a disability rights organisation that supports disability activists in Africa and Asia who fight for independence, equality and opportunity for disabled people living in poverty. Afrika Tikkun are passionate about developing young people together with like-minded partners, through innovative and enterprising ways, to impact the economy of South Africa. Animal Defenders International (ADI) is active worldwide to end the suffering of captive animals in commercial use. Animals Asia Foundation work to end cruelty and restore respect for all animals throughout Asia.